Intermountain Healthcare has approximately 150 protocols built into its electronic health record (EHR) system, alerting clinicians when the patient information they enter indicates certain conditions and then guiding them through further examinations and potential treatments. A 12-member team of doctors, nurses and analytics experts takes upwards of a year to analyze data and build each protocol, said Marc Probst, the chief information officer at the not-for-profit health system based in Salt Lake City. Recently, though, Intermountain teamed with a company that uses artificial intelligence (AI) to do the same work. But AI works faster and more thoroughly, taking just 10 days to develop a protocol that included additional data points not previously identified, Probst said. EHRs have transformed from digital versions of paper charts to an interactive tool that physicians use to provide better, more targeted care. Clinical decision support, for example, demonstrates this capability. 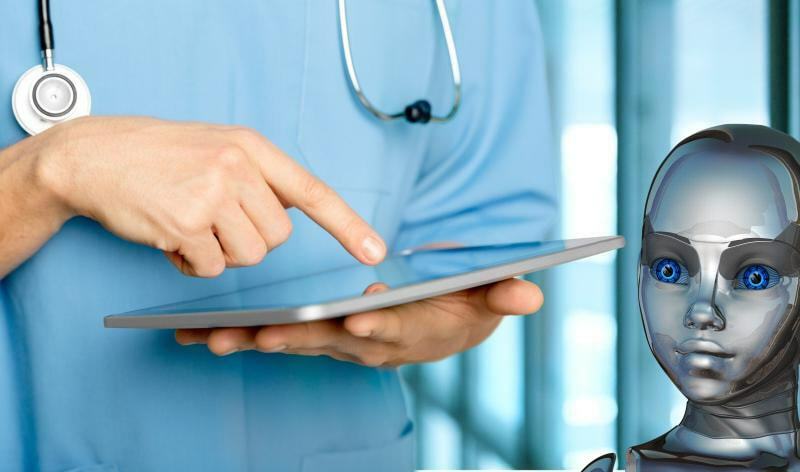 But AI along with cognitive computing and machine learning (where computers mimic human thought processes and have the ability to learn) could make EHRs even more critical to the practice of medicine. “In many ways, this is just a natural evolution of an ecosystem,” said Anil Jain, MD, FACP, vice president and chief health informatics officer with IBM Watson Health, a staff physician in internal medicine at Cleveland Clinic, and a long-standing member and contributor with the nonprofit American Medical Informatics Association (AMIA), which promotes the development and application of biomedical and health informatics in patient care. AI’s contribution stems from its ability to understand, Jain explained. Moreover, AI understands context and how to put disparate pieces of data together in the right way. For example, AI systems know that when a neurologist writes “CP” it likely means cerebral palsy while a cardiologist uses it to mean chest pain. “It’s a system that understands what has been written. It understands journals and textbooks and can take all that knowledge and start to answer questions that might be asked of it, it tests various hypotheses and it adapts to the way [a doctor] practices,” he added. Many physicians already use systems built with AI functionality, Jain said. Physicians using predictive models to manage patients are relying on AI, with multiple mathematical algorithms working in the background to determine the best paths forward. However, Jain said most EHR systems don’t have AI embedded into them. Rather, AI will be developed and deployed as an add-on function integrated with EHRs. Startups, innovative healthcare systems and established technology companies will all likely play a role in creating AI technology that works for physicians.